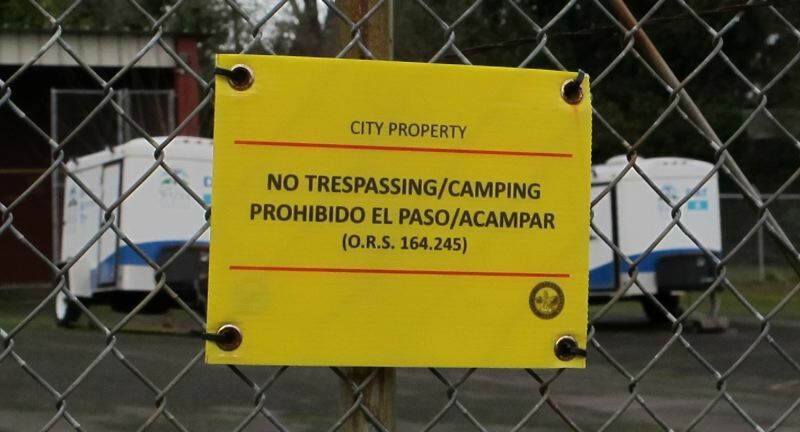 The long-promised city emergency response center in Southwest Portland is on hold because of planning and funding issues. City officials first announced they would convert the former Sgt. Jerome F. Sears U.S. Army Reserve Center into a heavy equipment staging area eight years ago. In January 2011, then-Mayor Sam Adams told neighbors that basing such equipment there would help the west side of Portland recover faster from a natural or man-made disaster. Then and now, all of the city's heavy equipment is stored on the east side of the Willamette River. The bulldozers, dump trucks and other pieces of equipment will not be able to reach west Portland if the bridges across the river collapse. The City Council voted to turn the armory into a Bureau of Emergency Management response center that May. Portland acquired the nearly 4-acre facility at 2730 S.W. Multnomah Blvd. from the U.S. Department of Defense the next September. But no significant changes have been made at the building or adjacent parking lot since the first announcement. It was used only as a temporary homeless shelter between November 2015 and February 2016. Since then, Portland Fire & Rescue has occasionally held training exercises in its large parking lot, where the Portland Water Bureau is storing some trailers. 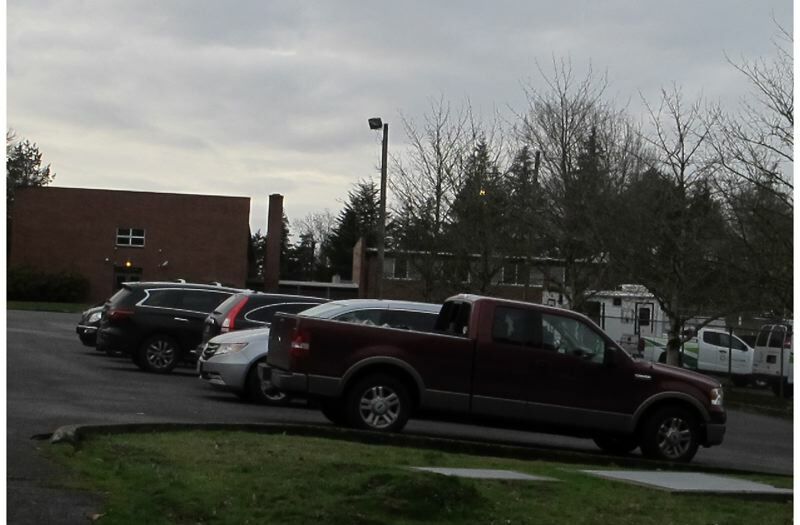 Parents of students at the nearby West Hills Christian School also use the parking lot to pick up their children after classes. Mayor Ted Wheeler's office now says city officials have not yet decided which bureaus to locate there, or how to pay for the renovations and ongoing operating costs. In fact, according to Kyle Chisek, Wheeler's director of bureau relations, nothing might happen there unless Portland voters approve a public safety property tax bond, and no vote on such a ballot measure is currently scheduled. "There are a lot of unanswered questions," Chisek said. Multnomah neighborhood resident Beth Omansky said she's disappointed by the lack of progress. She supports using it for an emergency response center, but also believes it should be opened as a homeless shelter in the meantime. "The building looks dark and lifeless and useless now. It does not have to be that way, especially because the city is still in a state of emergency regarding homelessness," said Omansky, who organized neighborhood support for the temporary shelter by hosting the "Multnomah Supports the Shelter" Facebook page. "Every time I walk past it, I recall the hundreds of homeless neighbors who found shelter there, and the approximately neighbors and volunteers who made sack lunches, served hot meals once a month, held donation drives for warm items and delivered them to Sears," Omansky said. "It could be used for overnight stays, as it was before, and building upgrades could be done during daylight hours, readying it for the future emergency staging facility while making good use of the building to shelter our homeless neighbors." Planning for the center is being done by the emergency management bureau and the Office of Management and Finance. The lack of apparent progress is surprising because the bureau has repeatedly urged Portlanders to prepare for the Big One — the expected Cascadia Subduction Zone earthquake that could hit the region at any time, toppling buildings across the city and collapsing the bridges across the river. On its website, the bureau describes the former armory as "the future home of the City's west side emergency operations facility." It says that, once improvements are made to the site, "the Portland Water Bureau, Portland Bureau of Transportation and Portland Bureau of Emergency Management will begin using the center, enabling the City to better respond to emergencies on the west side of the Willamette River." Although Chisek said planning is well underway, the City Council essentially sent the project back to the drawing board last year. A master plan for a Westside Auxiliary Emergency Operations Center was completed in June 2013. Its cost was estimated at around $11.4 million. Detailed feasibility studies were started to finalize the plan for council approval. A contract with MCA Architects to manage the project was signed in June 2016. But in March 2017, the council authorized a new contract to study adding a Portland Fire & Rescue training center to the facility. It would replace a fire bureau training center in the Clinton Triangle in Southeast Portland. That put the rest of the planning on hold until the study is completed. The Portland Police Bureau has also expressed interest in the former armory. It wants to study moving Central Precinct from the downtown Justice Center into it. Although the council did not fund such a study in the current budget, Chisek said the idea is still being discussed. Without first knowing who will use the facility, it is difficult to finalize the master plan for the facility, Chisek said, let alone estimate the total renovation and ongoing operating costs. But even when those decision are made, Chisek said the city does not have enough money to move forward. Chisek said officials are beginning to discuss asking voters to approve a public safety bond measure similar to the one former City Commissioner Randy Leonard successfully introduced and championed at the November 2010 general election. Among other things, the $72 million measure paid for a new emergency communications center, new fire stations and equipment, and a new digital radio system. No tentative date has yet been set for such an election, however, and other governments in the region already are consider large money measures for future ballots. They include Portland Public Schools and Metro, the elected regional government, which is working on a transportation funding measure for the November 2020 general election to help finance the Southwest Corridor MAX line and other projects. In the meantime, Chisek said the city could open the former armory as a temporary overnight severe weather shelter when temperatures drop if requested by the city-county Joint Office on Homeless Services.